Advertisement Review Dishoom gave complimentary meal so we could review. No editorial control was given by them over this post. All thoughts and reviews are our own opinions. 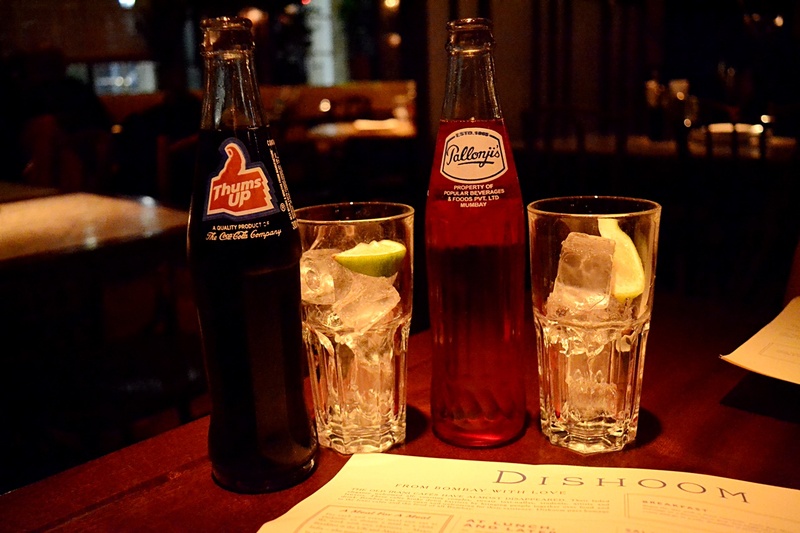 Paying homage to Irani cafes and the food of Bombay, Manchester restaurant Dishoom has caused excitement within the north upon it’s extension from the London branch. 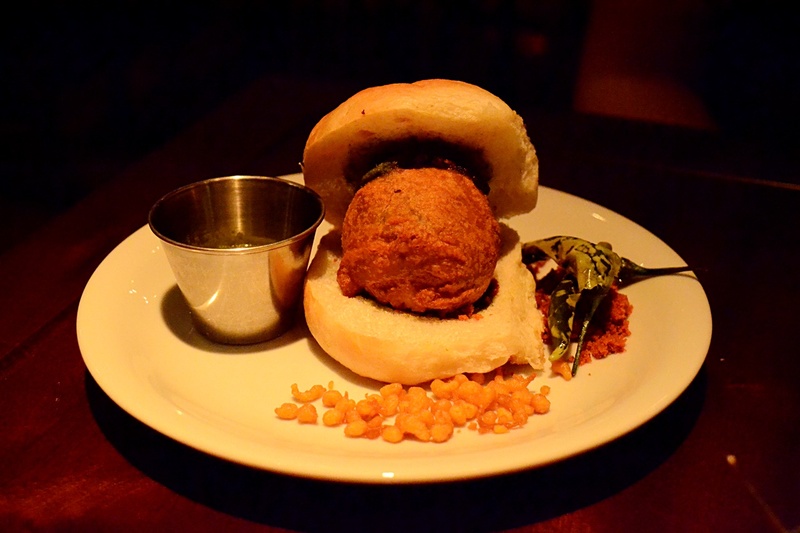 After receiving invite, we headed down to review and see how it stacked up in a city of great Indian cuisine. The inspiration behind the restaurant was taken from meeting point cafes. 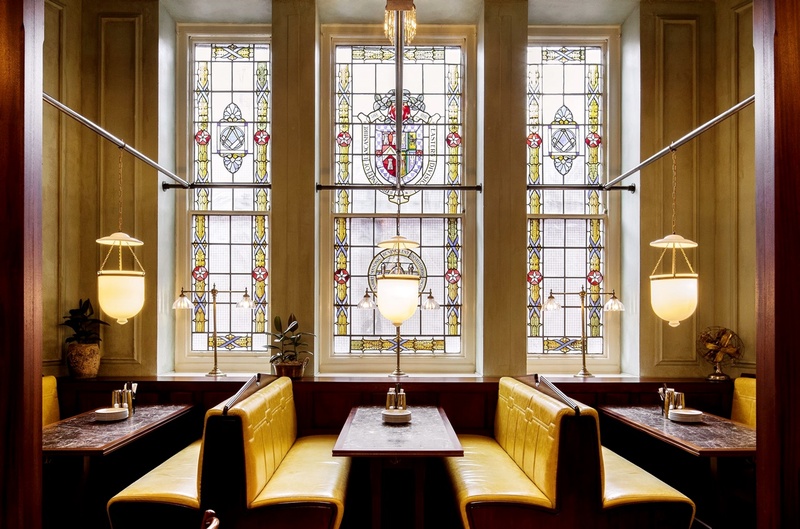 These cafes became the place where all classes intersected, you could dine alongside both lawyers and taxi drivers with no dress code or prerequisite. This is reflected in the decor, there is an air of casualness with the retro ceiling fans and newspaper stand. A heavy feature of wooden tables, furnishing and partitions take the location far away from its Manchester dwellings, giving a holiday atmosphere that instantly puts you at ease. 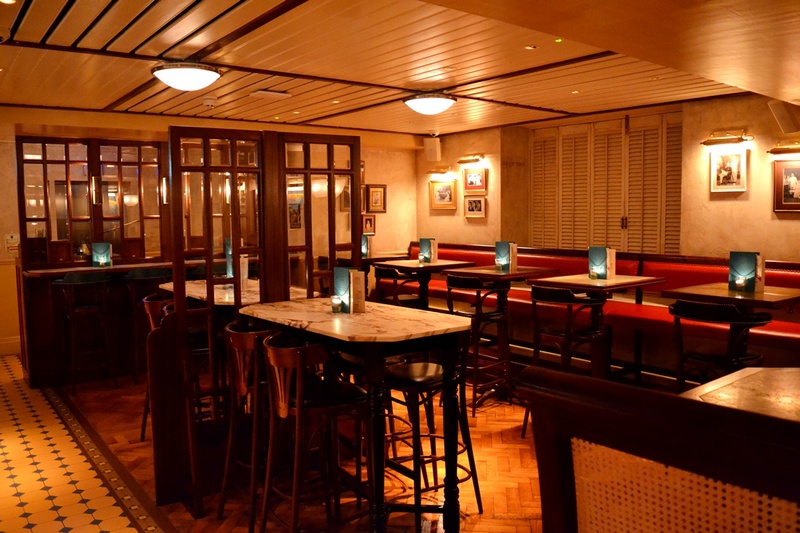 The rooms are warmly lit, with dim light giving more of a cosy feel to the restaurant. At first it took a bit of deciphering to understand the setup of the menu. A mixture of curries, small plates and sides are presented together, which takes time to work out what to have and in which combinations. Fortunately our waiter was well versed in the background between all dishes and made some great recommendations from her own preferences. 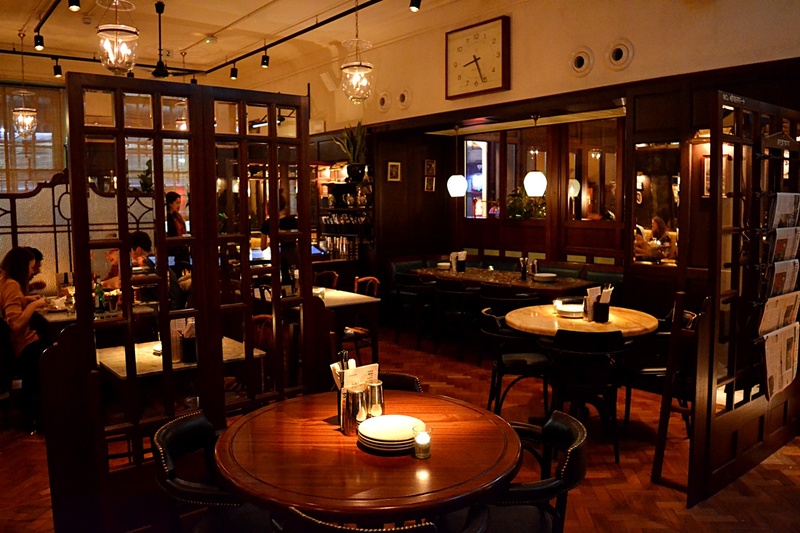 Each Dishoom location also features a Chef’s special; of which Manchester’s was Nalli Nihari Biryani. We started with drinks, which took us by surprise at the vast selection. A good selection of classic cocktails, wines and beers are available, but what most intrigued us were the authentic Indian soft drinks. Pallonjis lemon and raspberry drinks are imported regularly, as is Thums Up cola, a Coca Cola product which proved too popular for the soda powerhouse to oust so they instead bought the company and kept it’s original name. These drinks proved a nice touch for building a more genuine experience, not only that but they were sweet and tasteful also. For food, we opted for small plates Vada Pau and Pau Bhaji (which we were sold on based on it’s ‘Bombay version of a chip butty’ description). These were followed by an abundance of carbs in the chicken Ruby curry, lamb Biryani and rice, pilau rice, gunpowder chips, mixed greens and a garlic naan for good measure. The Vada Pau was carb-heavy but so good, full of warmth it embodied a traditional comfort food with a hint of masala flavour for added zing. 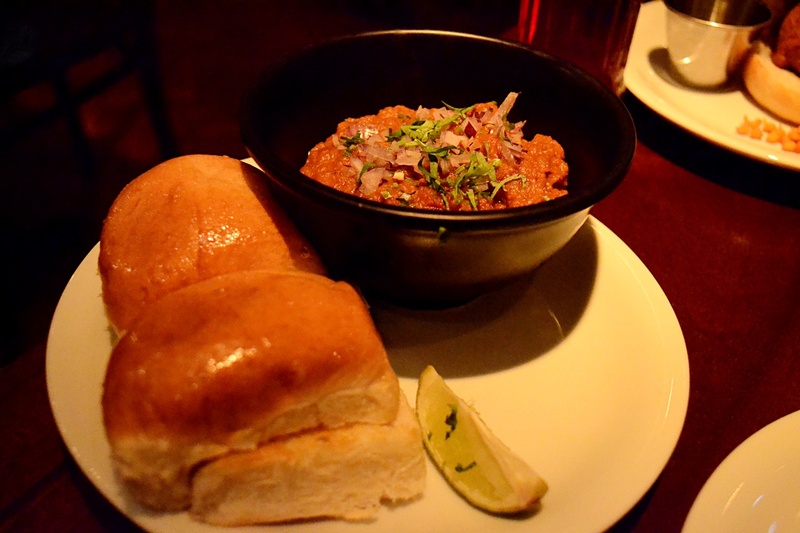 Likewise the Pau Bhaji was tasty and satisfying, with the bread providing an enjoyable base to dip in the sauce for morish consumption. Onto the mains, the Lamb Biryani really was sensationally prepared. The meat was perfectly cooked, so soft, to give a melt-in-the-mouth result. Similarly, the Ruby curry was just as appetising. Not unlike a masala, the sauce had a tomato base and creamy composition which went well with the generous portions of chicken. The Ruby curry in particular was our favourite of the night. There were many great sounding sides to choose from so we decided to indulge and try a good range. The rice was fairly standard procedure, perhaps a little oily but not the main event so this could be forgiven. Fortunately, the gunpowder potatoes more than made up for the less dazzling rice. The potatoes were served on a colourful place of spices, peppered for strong taste yet juxtaposing in their light and fluffy demeanour. We were also advised to try the mixed greens, which comprised of spinach, broccoli and snow peas (a favourite of our waitress) which were a little too chilli and lime drizzled for our preference, but this was more due to personal tastes than an inconsistency in presentation. After a hearty meal, there was deliberation over whether to try dessert but wanting to offer thorough review we gave it a go. There are more heavy cakes on offer but we opted for the kulfi (similar to a milk based ice lolly). The kulfi comes in three flavours; mango, caramel and pistachio, of which we tried the former two. 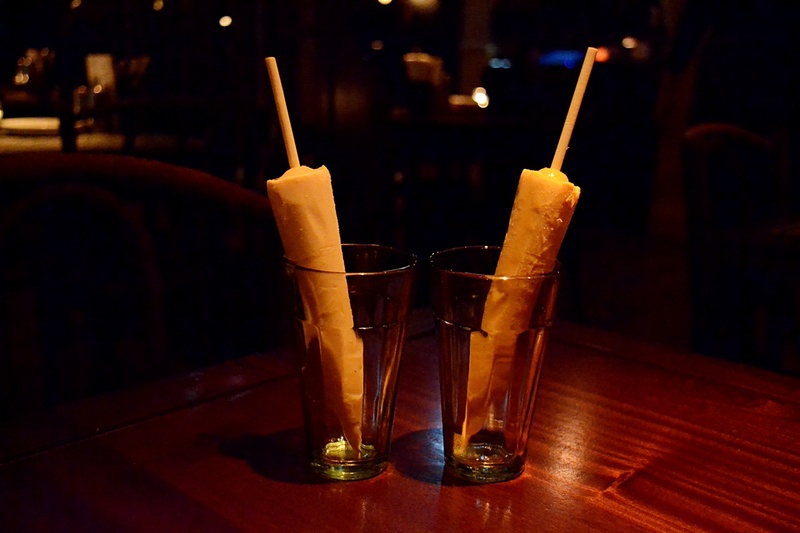 Light and quick to eat, the kulfi were creamy and satisfying, a good choice if you just want a little of something sweet to end your evening. This was accommodated by additional chai and chocolate chai, which served as the ideal palette cleansers due to their spicy tang. Exceptionally speedy and consistent service which did not compromise quality. 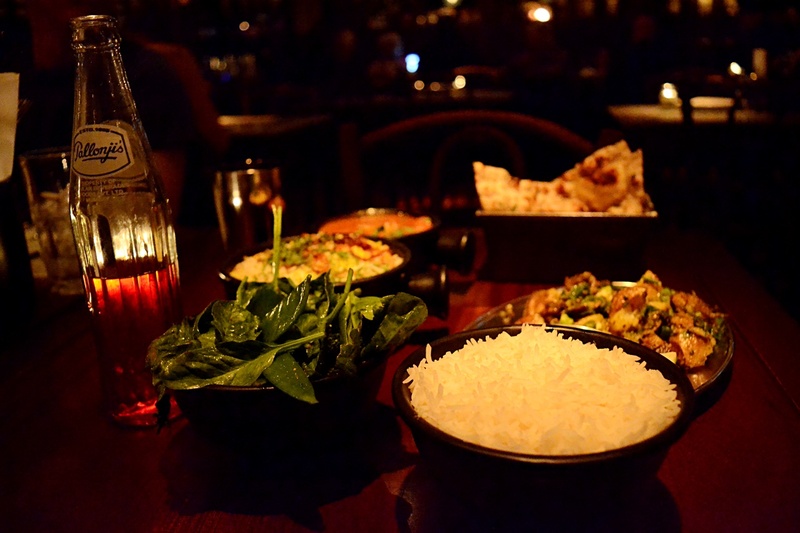 We would happily return to Dishoom, it offers an authentic experience with generous portion sizes and focus on quality in food preparation. "Blue Eyeshadow is making a comeback"